“16 Photographs At Ohrdruf” executive producer & soundtrack guy Jason Egan, writer/director/producer Matthew Nash (ie me) and editor Michael Equi. 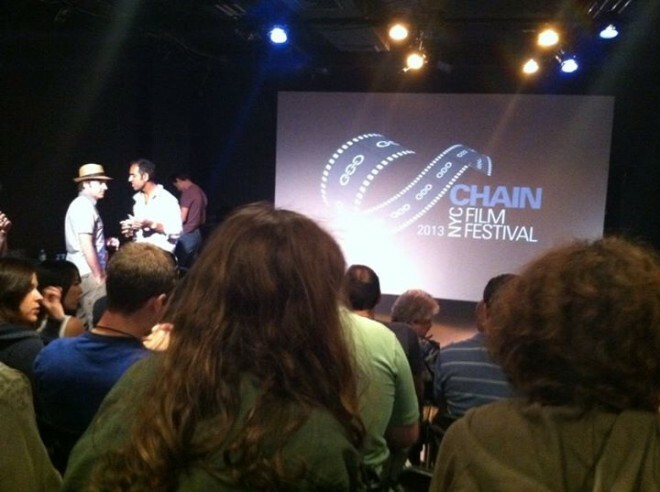 This past Sunday, August 18th, the Chain NYC Film Festival held their award ceremony. This is the first annual festival for the new theatre in the Long Island City neighborhood of Queens. Despite their short history, the festival was able to feature an amazingly complex and impressive range of films, and it was an honor to have my film 16 Photographs At Ohrdruf selected for the festival. The award ceremony was great way to meet many of the other filmmakers and to celebrate all their hard work. That morning, 16 Photographs executive producer Jason Egan was on hand for the special Best of Fest screenings. At the same time, editor Michael Equi and I were driving down from Boston, and we all met up for the awards. Festival creator and director Kirk Gostkowski was a charming and funny host. It’s obvious that he truly loves film, and wants to support actors and directors. He started things off at 8pm with a number of awards for short films (and super shorts, a category new to me) followed by the features. Below is the full list of award winners, and you can see trailers and get more info at the Chain NYC website. The big four awards were presented last. These were for NY Filmmaker, Best Narrative Feature, Best Documentary and Best of Fest. 16 Photographs At Ohrdruf won Best Documentary! The Chain Theatre and the team there are wonderful, supportive and creative folks and I think what they are doing is extraordinary. Awards aside, I think it is a place worth supporting. Keep an eye on their website, they are just getting started and are on track to program some great an innovative film, theatre and live performances. I’m so glad I got to meet them. The view from the seats as things get started. 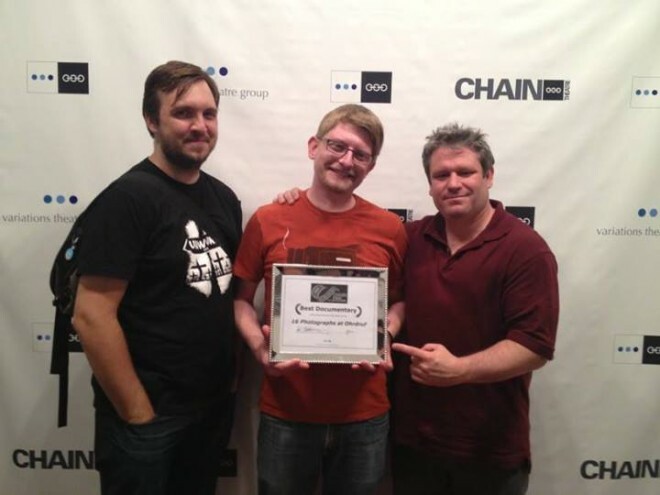 Best Narrative Super Short: And How! Best Director of A Documentary Feature: Bob Baldori for Boogie Stomp! Best of Fest: Boogie Stomp!